Mayra is always on the move. 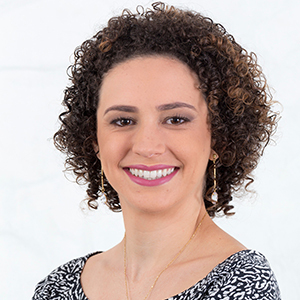 Born and raised in Salvador (BA), Brazil, she has always searched for opportunities to experience other cultures and meet different people. Besides living in many cities in Brazil, she has also lived in Canada (2003), Chile (2008) and India (2010), volunteering in AIESEC Baroda focusing on women empowerment. With a Bachelor’s Degree in Communications, Mayra started her career working in Corporate Communications in a multinational chemical company. After embracing a long self-knowledge process, she decided to shift her career to the social sector, where she had the opportunity to work in many causes, such as housing, education and social entrepreneurship, and volunteer at the Art of Living Foundation, promoting stress management techniques in vulnerable communities. Today, she is a project coordinator at Avon Institute Brazil, for the cause “ending violence against women”. She is passionate about peace promotion, and finds the combination of yoga, meditation and nature particularly effective.